The Glorious 12th (or 13th for this year) is fast approaching and with less than 20 sleeps to go who’s now getting excited? 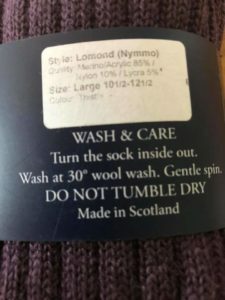 WOOP WOOP!! 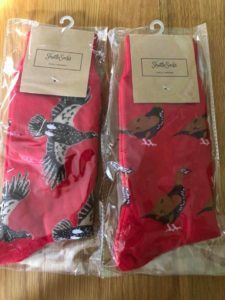 We hope everyone is getting prepared and ready, but the question is have you got this seasons must haves?????? 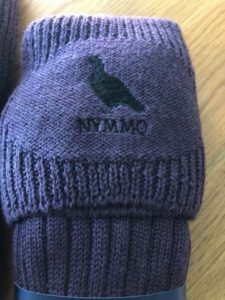 NYMMO Shooting Socks, Purple Heather Colour, 3 sizes available, Small (5 1/2 to 7 /12), Medium (8-10) and Large (10 1/2 to 12 1/2). 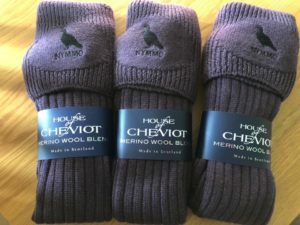 These are an absolute necessity if you want to look the part on a shoot day. 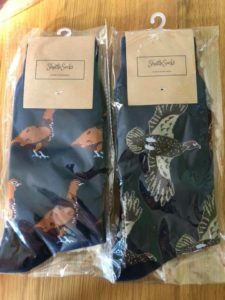 For the Evening how about a pair or two of Shuttle Socks, designed by Clover Shuttlewood the wife of our very own NYMMO Gamekeeper Jimmy. 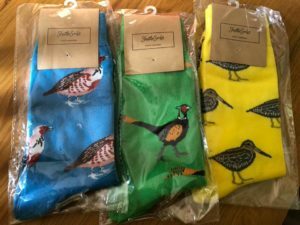 These newly launched socks combine fantastic game bird designs with a colour that can be accommodated in anybody’s sock drawer! Available in one size (8-12), brilliant quality and the feedback received so far is “Top Drawer”.